The Fourth » Crafty little demon! 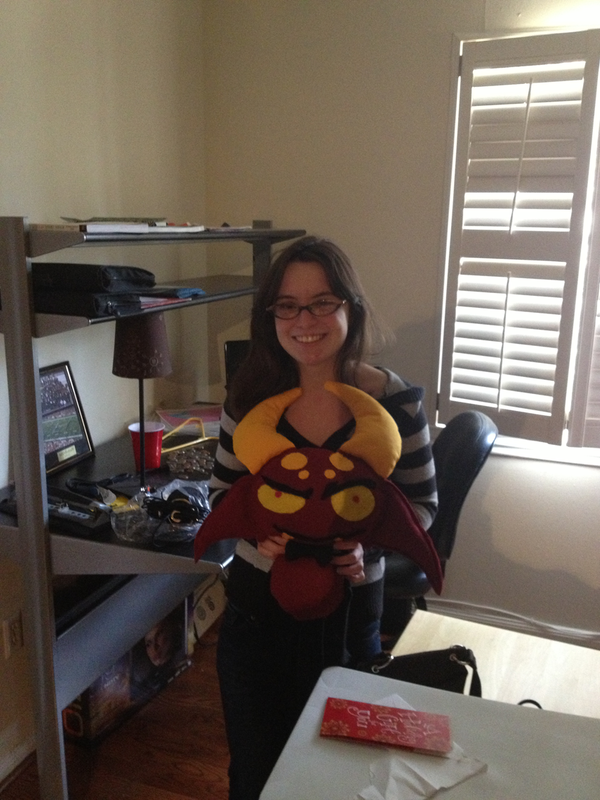 That plush Davis is amazing! I would kind of expect to see drawings and sketches for the next comic sprawled across that desk. Also I love how you devoted an entire comic entry to showing off your awesome gift! And he just opened up a world of merch possibilities. What’s Davis made of, other than sass? That’s adorable! I must have one. Might want to keep him away from any flammable objects if you can.